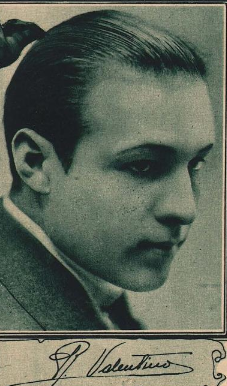 Whether to call myself Winifred Hudnut or Natacha Rambova or Mrs Rudolph Valentino I don’t know, says Rudolph’s wife in an interview in the December issue of Photoplay Magazine. “Natacha Rambova seems to belong most to me, the individual I think I am, but, of course, I wasn’t born that way. When I went into the Russian Ballet, thought, I had to have a Russian name. That way just after my course at art school in Paris, and I was 17, and I have been using that name ever since. I speak Russian and all that is Russian appeals to me, and moreover, that is what Rudy calls me”. Her eyes soften when she speaks of him, and yet refuses to be romantic about it. “It wasn’t love at first sight,” she says. I think it was good comradeship more than anything else. We were both very lonely, but we had known each other more than six months before we became at all interested in each other. 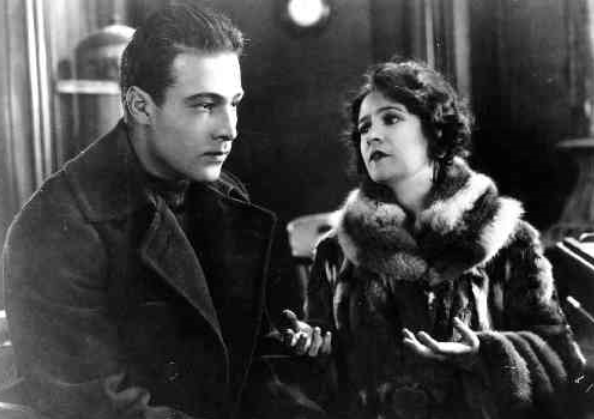 I was working for Nazimova and Rudy was working on “The Four Horsemen” I saw him occasionally and felt a bit sorry for him, because he seemed always to be apart by himself. “You don’t know Rudy when he works. He sees nothing and things nothing and does nothing but live the character he is portraying. As the first of his work in the “Four Horsemen” was finished and the officials saw it, his name began to mean something. They began to talk about him and tell weird stories about his fascination for women and perhaps that was what piqued my interest. What I could figure out was, how anyone could be the villainous person he was reputed to be and yet be home in a tiny room every night about 9:00 pm and on the lot each morning all ready for work before anyone else had even arrived. Still, I never really talked to him until we began to work on ’Camille’. Then his work begun to interest me. There is really nothing sophisticated or seductive about Rudy whatsoever. Its like my drawings. I am perfectly willing to admit they are morbid, yet I am the most prosaic of human beings. “Now Rudy has a personality that comes out on the screen which is entirely different from the Rudy I know. Yet, I believe it is part of him as the exotic quality in my sketches is part of me. But basically he is just a little boy. Things hurt him as they would hurt a child and he is quite as emotional. Also, he is just as spontaneous and trustful, yet with all that there is a remarkable matter-of-factness about him and sincerity. He is the most sincere person I have ever known”. 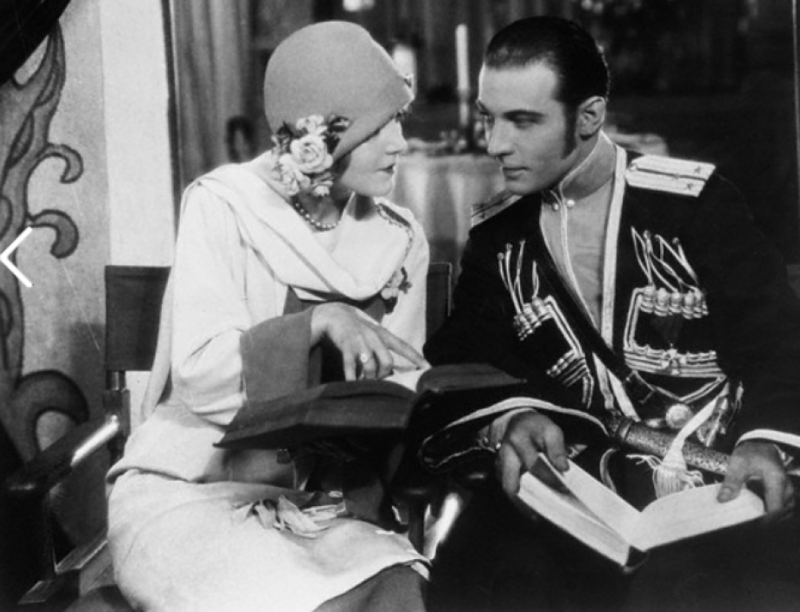 Natacha was trying very hard to be coldly analytical about this young lover of hers. But she wasn’t succeeding very well. Every time she spoke of him the color rose in her white cheeks delightfully. “When we did discover we were in love, she confessed, we had it all planned that we would wait a year until Rudy’s divorce was final. But I knew nothing about divorces and neither did he. They are so different everywhere and we really thought he was divorced and that he received his decree or whatever it was, and thought it was only some state law that kept us from marrying. 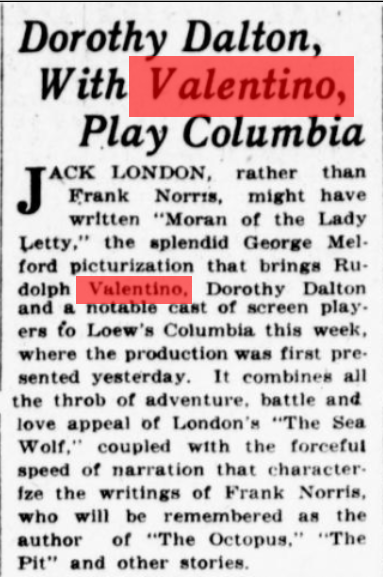 So on 14 May 1922, we went to Palm Springs on a party. It was fearfully respectable. Everyone we knew was there and we had no thought of being married at that time. “But someone, I don’t remember who, suggested that we go over to Mexico and be married. Several couples we knew had done the samething before under similar circumstances but we had to be the ones who did it once too often. If Rudy hadn’t been Rudy they wouldn’t have jumped on us. Fame is like a giant x-ray. Once you are exposed beneath it the very beatings of your heart are sown to a gaping world. I’ll confess it is rather fun being courted by your own husband. We go out for dinner and the theater together nearly every evening and then he brings me back to my hotel and down in the lobby he bows formally over my hand and I, equally proper bid him good night and stand to watch him until he disappears out of sight on his way back to his hotel. Fame has many fans. To be famous signifies the recognition of some sort of success achieved. And no surer fashion of determine the essential elements which make for high popular acclaim can be found than that which an individual exhibits in handwriting. It is the intimate link between the nerve-action of the hand and the mind. So when you regard the signatures of screen stars, you are looking squarely at the high or low lights switched on by the electrical currents of their personalities. The power underneath you feel even if you do not know the cause. For this reason, if for no other, there is a wide demand for the personally-written signatures of men and women prominent in this expression of the drama. Handwriting is the natural private gesture of each person’s whole makeup, and you will see that it only requires the eye and mind working together to form a fair judgment. In the same health atmosphere travels R. Valentino, whose even well-poised fist moves ambitiously upwards, gesturing with his rather flamboyant capitals, exclamatory of his intense vitality and the conscious belief in himself. Each carefully-connected stroke invites you to look into his active mind, teeming with an intense desire to make good. In each curve lurks a laugh. In the straight base-line, strengthen by the long, underscoring sweep, he assures you frankly that he has a great deal of nerve and will never be satisfied until you meet him frequently. That bold hood on the end of his “t” shows his grit, his clinching hold on every detail in order to produce in a versatile manner with artistic finesse. The way he gathers his letter together a clutch-denotes his practical side. Once attempt to worst him by any ill-treatment and his whole temperament will arise with an adequate come-back. It would surprise you, as he is tactful and pleasing in manner. By nature vitally living. Yet, pressure being even, he understands the art of self-dominance. By this his advance along the stellar way can be measured by the height of his signature. Very high. 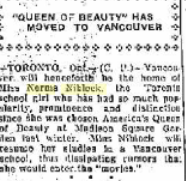 Norma Niblock, the Toronto girl who won the Mineralava-Valentino Beauty Contest in New York, has made an amazingly bad break. Although she’s Sweet Sixteen, Norma broadcasts the information that she won without using rouge or powder! Is Miss Nlblock trying to “crab” future “Pretty Girl” exhibitions, or what? Doesn’t she know that in these advanced days, Beauty is only skin deep? Sixteen! 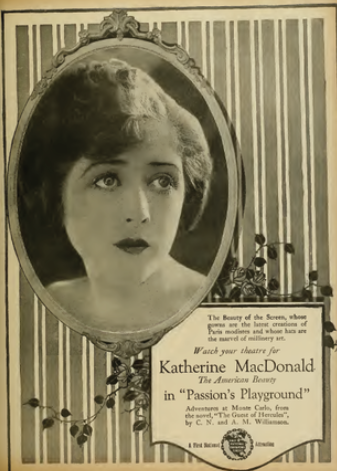 And not aware that a “Beauty Show” is merely a test of the relative merits of certain cosmetics, for which the faces of the young ladles provide pleasing backgrounds! Tho New York judges certainly slipped up badly on the job when they crowned the Toronto queen. Instead of awarding the palm to some snappy soubrette who knows all about lipsticks, eyebrow pencils, cold creams, clay packs, lotions, eyelash tweezers, nose powder, beauty patches, hair gloss, massage pastes, electric vibrators and tooth shine. The manufacturers of these commodities are always willing even eager to pay fabulous prices for testimonials from Beauty Queens. Here is opportunity knocking at Miss Niblock’s door and here Is Miss Niblock “knocking” opportunity by saying she doesn’t rouge or powder! ! ! Next thing we know Norma will stand right up in meeting ‘ and declare she has no intention of going into the movies. But fortunately, there is still hope. The public has a short memory. Nobody will remember Miss Niblock’s “No – powder, no rouge” error of judgment after a few days. Such being tbe case, her face may be her fortune. Watch for it in magazine advertisements, telling the world how Norma put it all over the other flappers by using BOOULE’S BLOOM OF BEAUTY three times a day on sale at all drug stores. 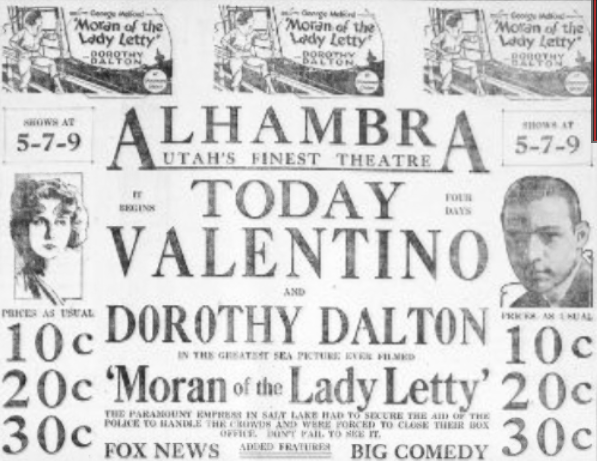 The Mineralava-Valentino beauty contest, which was a year in preparation, was finally staged last Wednesday night, at the Madison Square Garden with 88 beauties contesting for the honor of the sheik crowning her the chief beauty which carried with it a film contract and other material benefits. 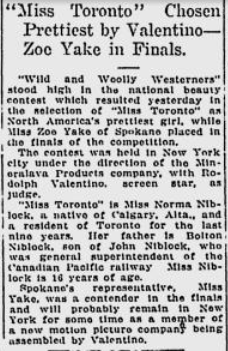 After passing the buck to the 100 Judges, Valentino placed though small crown on Norma Niblocks raven tresses, which signified to all who were interested that this Toronto gal took first honors. 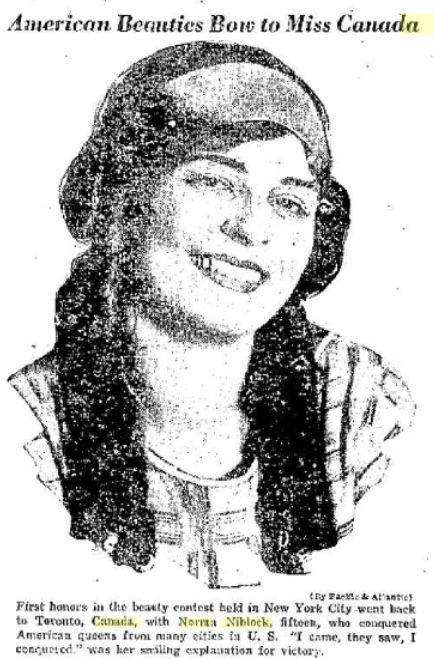 Eugenia Gilbert of Los Angeles, the popular favorite, only succeeded in placing second , and the following beauties took third, fourth and fifth respectively : Reba Owen of New York, Mildred Adam of Baltimore, and Gloria Heller of Wichita . The latter is in Kansas for anybodies specific information. At any rate, the town owes Miss Heller something for placing it on the map. 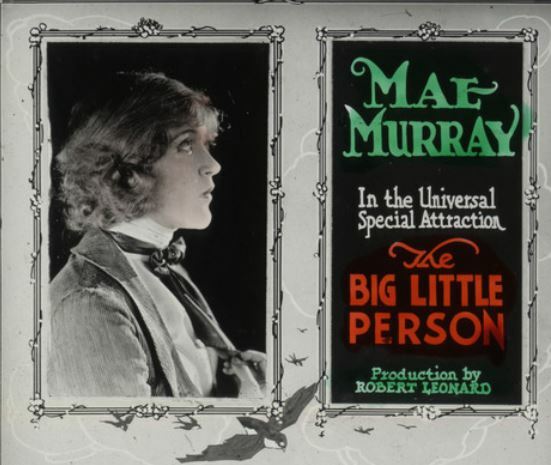 The newspapermen generally leaned toward the Baltimore gal and a beauty from Butte, Montana, Marlon Fogerty was deemed likely by others. Withal, the selected winner was by no means a popular choice, although the lass were distinguishing for her unassuming naiveté in posing and parading around the rostrum ln a natural and easy manner. An inside explanation of the Toronto choice has lt that Canada is still virgin territory for the Mineralava beauty clay product. The choice of a native daughter is believed to be a good selling angle, but it is only a report. Five girls, of which Miss Nlblock is not one, have been signed for a Broadway production, although the Toronto beauty may have foregone any stage alliances -through the picture contract she inherited with the first prize capture. The second choice, Miss Gilbert, Clipper mans favorite, a dazzling beauty to considerable personality and charm that fairly radiated to every corner to the Garden. Not Slow Business As an amusement venture, Mineralava, should have stuck to the beauty clay. The Broadway managers may not allege to give one so much show but they start at 8:30 when advertised. Mineralava stressed the eight o’clock opening even on the admission tickets but didn’t start things until 70 minutes thereafter. It was an ordeal up to midnight. The show was unduly padded with the march of the beauty in ensemble and also divided into six groups with two semi-final parading and finally the winning selections. Paul Whiteman’s orchestra, a misleading announcement , since it was only a 41-piece Whiteman unit, tried to plug the waits interestingly but their lack of sufficient volume through absence of the necessary brass did not make them particularly fetching. Reinald Werrenrath, a concert baritone, managed fairly well but he clicks better in less spacious quarters. Petroushka and Ensemble, a 14-people mixed Russian act, was a colorful interlude of no particular merit. Their stuff has been done much better in small time vaudeville. The act features harmony singing, later doing song and dance specialties, one gal shimmying for her contribution. In between the acts, Mr. Graham, the announcer, read a statement for H. Z. Pokress, the Mineralava president, that E. F. Albee would engage the 16 winners for the new Keith Hippodrome opening Dec. 17. A number of sidelights on the contest were much more interesting than the show itself. Several groups took the Thanksgiving Eve occasion to celebrate liquidly. It was a question what one Indulgent Was cheering when he exclaimed Hooray for though Scotch as one of the beauty in a Scotch paid get-up made her appearance. Others insisted that the loving cups be filled up. These were the consolation prizes to the runners-up, though sizes being graduated down from second to fifth place. At any rate, Mineralava spent much money advertising its product and the five-eighths of the Garden s capacity attendance couldn’t mistake that a certain beauty clay one product was somewhere importantly mixed up in the entire affair.